My sister recently came to visit me. I hadn’t seen family for 17 months so I was ready to burst with excitement. We only had a couple of days so I had to be wise in planning our adventure. 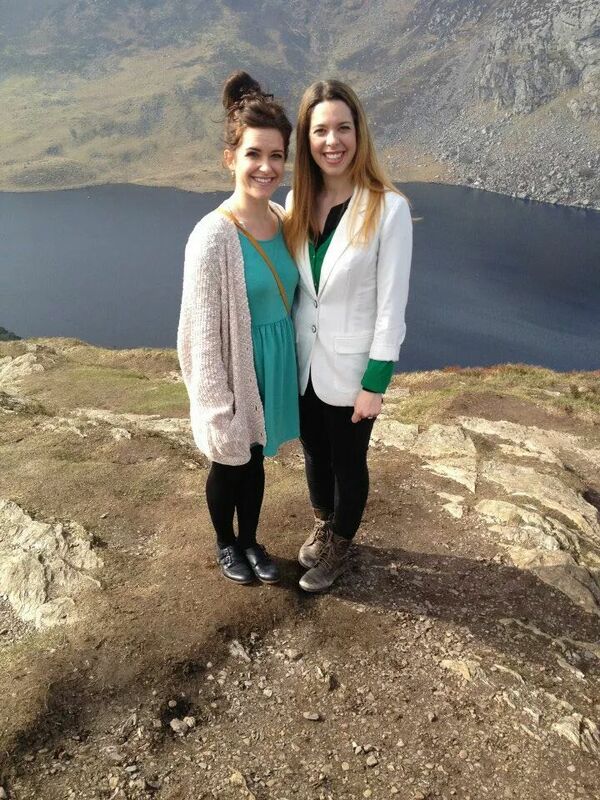 We had one full day together in Dublin and one day to get out of the city and explore some emerald hills. I chose Wicklow because of its close proximity to Dublin and its many claims to fame. 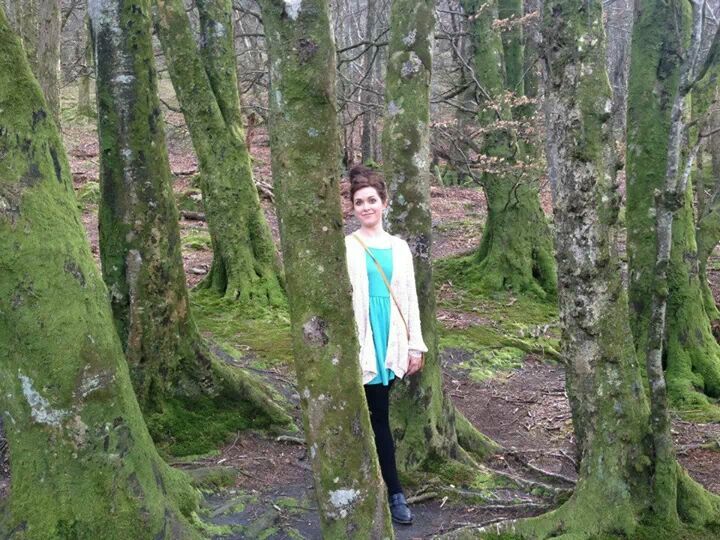 Boasting film locations for movies such as Braveheart and P.S I love you, it’s a must-see on anyones Irish tour. This was my third trip to Wicklow, and believe me, there’s a reason why it’s referred to as the Garden of Ireland. After taking a taxi from my house to O’Connell Street out of fear of being late, we arrived right on time, 8:50am. We grabbed a quick and necessary coffee and proceeded to wait for Irish time, departing a half hour late. Because we were so timely, we managed to snag some seats fairly close to the front. With an upbeat Dublin tour guide and an excessive amount of excited American women we were on our merry way. Joe, our tour guide, went above and beyond the call of tour guidance. He sang classic Irish tunes (sans any musical accompaniment), attempted teaching the Americans how to say a few Gailec words, and provided us with information about every place we went. 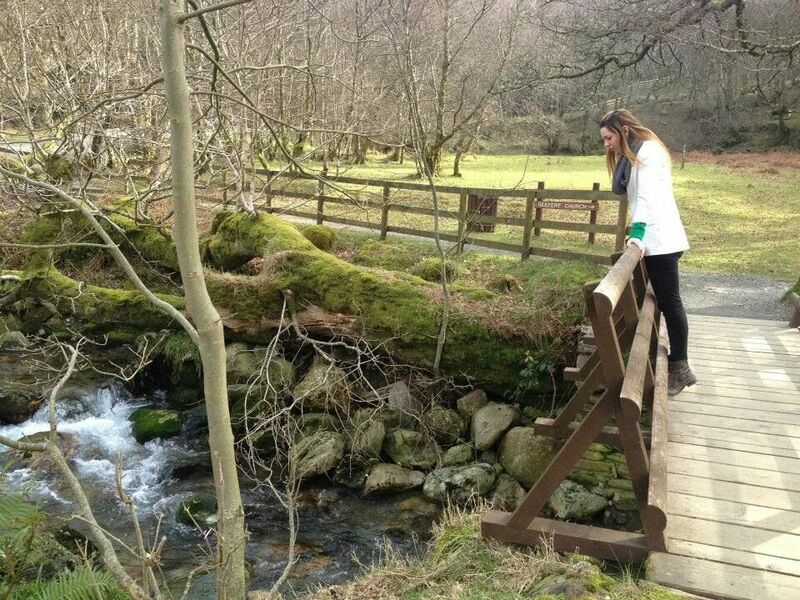 I had done a very similar day trip to the Wicklow Mountains and Glendalough when I first moved to Ireland but I took a lot more away from this tour. 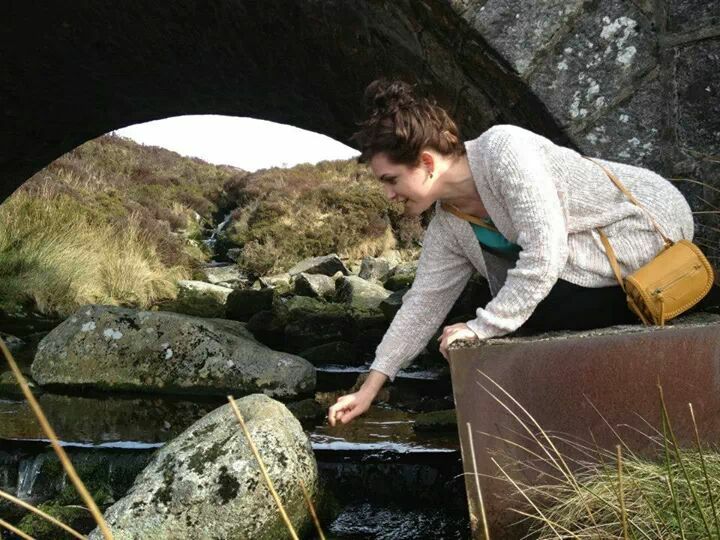 the Wicklow Gap (P.S. I love you filmpoint) we left our jackets in the bus and Ruth frolicked ahead to capture the perfect photograph. A few clouds hung between the mountains, so close it felt like if you reached out you could touch them. The lakes nestled between the green hills were perfect. Even with the robust character from Virginia squacking in the background the Wicklow Mountains felt calm. Peaceful. We also went to the Monastic City in Glendalough where we saw the remains of the famous early Christian monastic settlement first established by St. Kevin in the 6th century. The monks abandoned the settlement centuries ago but many of their hand-built stone buildings are still standing. The monuments built by the monks gave us a glimpse of their way of life. I found that the ruins represent the passion and absolute dedication these people had for their beliefs system. The Round Tower, built by hand centuries ago, is about 30 metres high. I can only imagine how long and how many injuries it must’ve taken to accomplish such a project. We finished the tour at the first ever Avoca store, an Irish staple, where we got to watch hand weavers in action. I was very impressed with the quickness and finnese required for handweaving, and was doubly impressed when shown the final product – beautiful multi coloured cashmere throws that make you want to veto clothes forever and just lie snuggled in those blankets all day. The highlight of the trip was the fact that I got to experience Ireland, my current home, with someone I love from my permanent home. Spending time with family and traveling adventures are individual gifts. Getting the opportunity to do both at once is so incredible it turned me greedy. I want more.